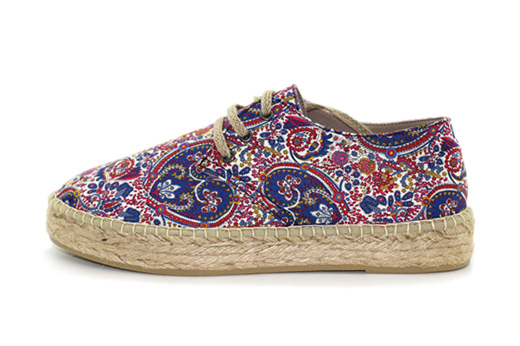 With hints of blues and reds, our Classic Platform in Paisley Cachemire is an excellent splash of color and pattern! Providing a thicker jute sole, these stylish women's espadrilles also have complimenting braided jute laces as well. Laro Espadrilles are handmade in Spain and equipped with vulcanized rubber soles.